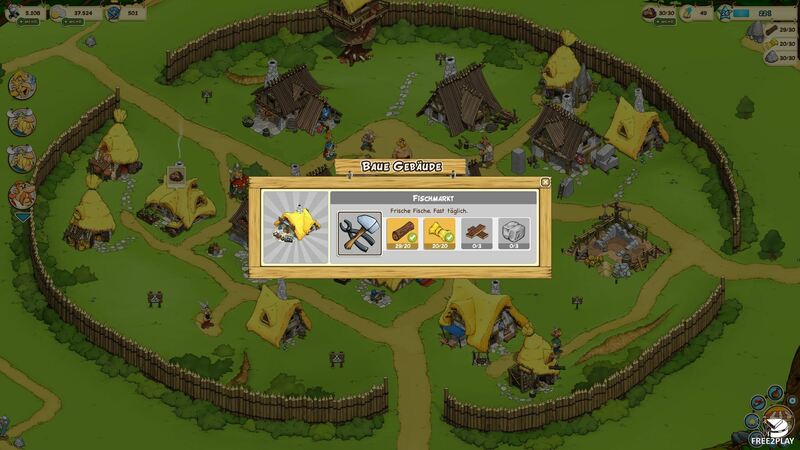 Asterix and Friends is a free browser strategy game in which players play as an Gaul warrior, in charge of the restoration of a village previously wrecked by the Roman army led by the Caesar himself. 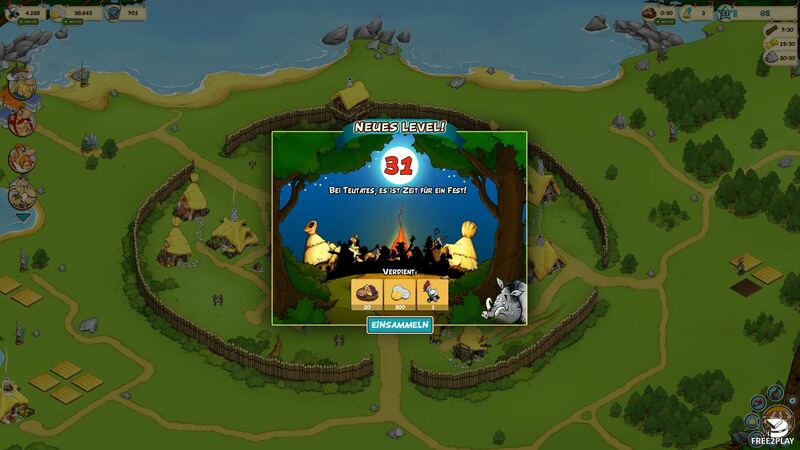 Players will have to manage resources, put new buildings and raise against the Roman empire. The theme of the game keeps the mood of the animated series with colourful and funny content, players will also find characters from the franchise as they progress in the game and will help or bother them depending on the character. Players have to start from scratch and reconstruct the village after the roman army of the Caesar wrecked it, over time, it will get better and bigger, with upgraded buildings and more population till it ends up being a town or a city. There are several many different types of buildings so players will have to choose wisely what to build first, like the elder's house where the elders gather and give you quests, then you have the common gathering and material processing buildings and the crafting ones as well. As the village progress the buildings in it will do as well, having each one its own level, granting more benefits or boosts at high levels. After creating weapons and armors and gathering some soldiers, it's time to kick some roman asses by taking the fight to them, switching to the map mode, players can see upcoming roman raids select them and send their villagers to fight back, they can choose how many of them they want to send and since each individual villager and roman has its own stats it's a very realistic combat. Although the game will simplify it for the end user just by showing the chances you have to win depending on all the numbers such as number of soldiers, equipment and more. Players will also be able to use Asterix and Obelix in those combats, they're unbeatable so it's only a matter to be able to use them to win the battle, they have to be used carefully. 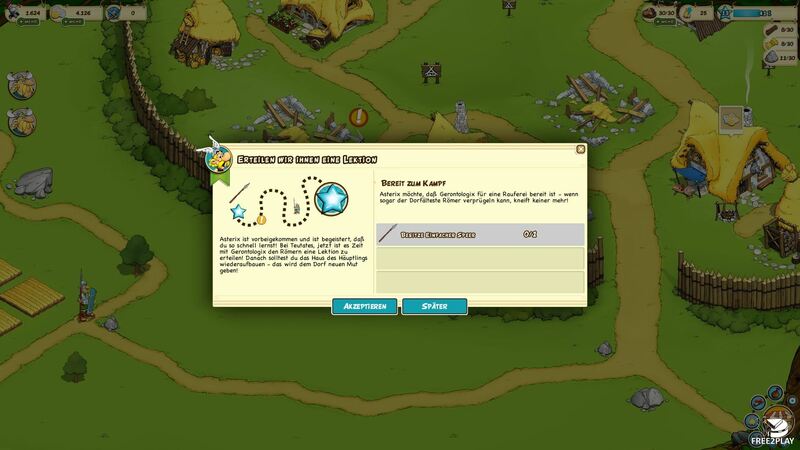 Players will get quest from many sources, elders, asterix and obelix and moreThroughout the game players will be given a number of quests from various NPC's, even Asterix and Obelix themselves. 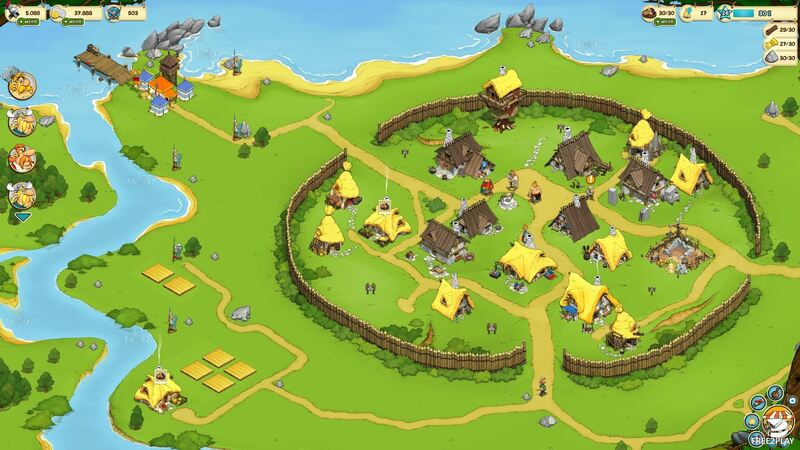 They're usually a bunch of tasks to perform, gathering resources, improving the village, or craft some items. You can move your character across the city and even out of it to fish or do whatever it's needed by using a classic point a click system, it will gain xp to level up and gain new abilities. So the game has a lot of game modes embed in it. The premium currency is called Roman Helmets and can be used to speed up construction time or to buy special items, it can be bought with realm money or by playing the game each time a player levels up.